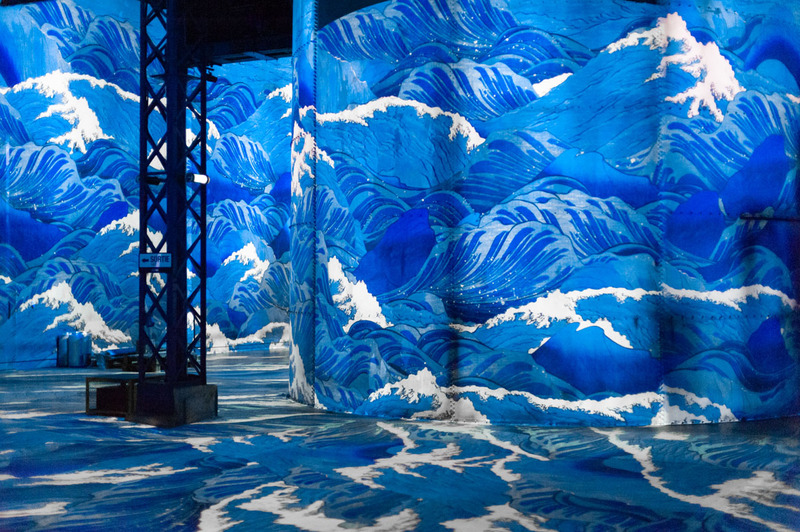 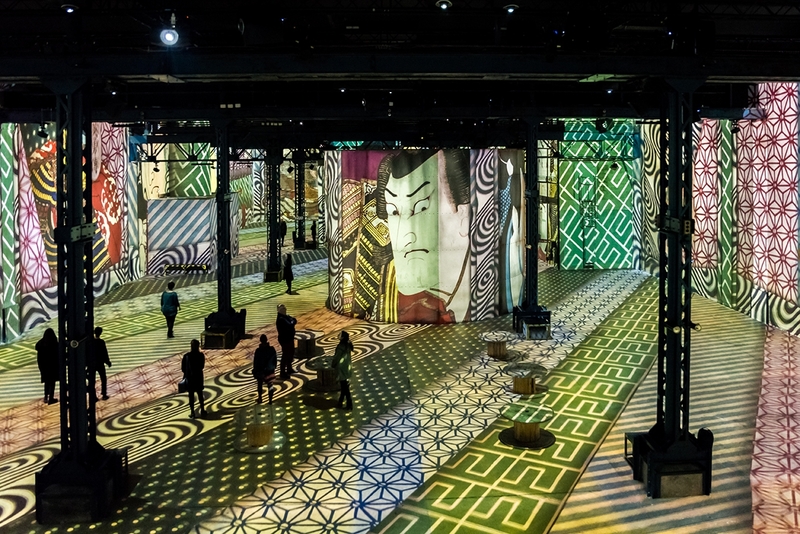 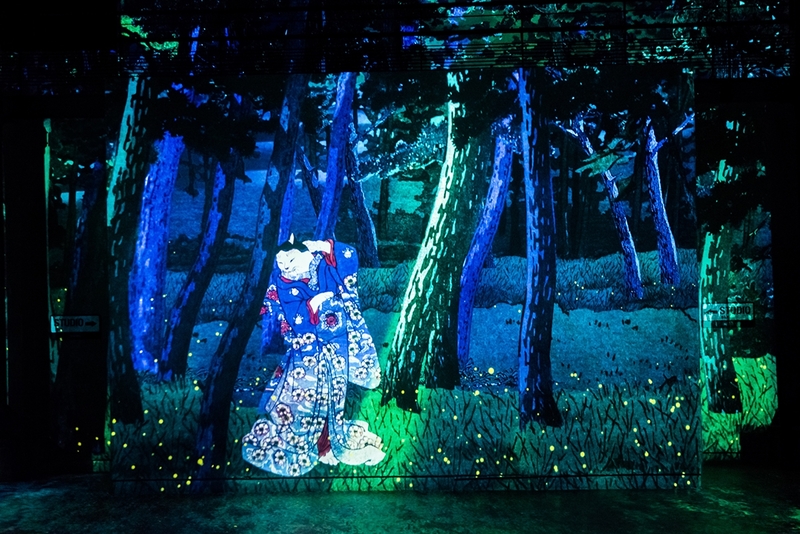 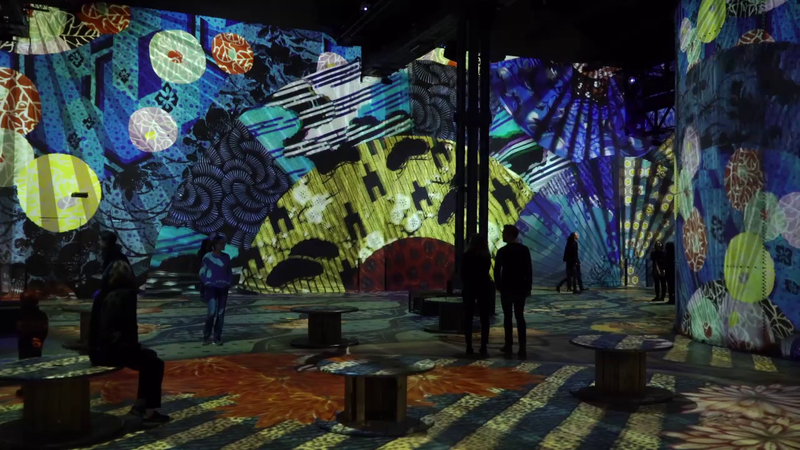 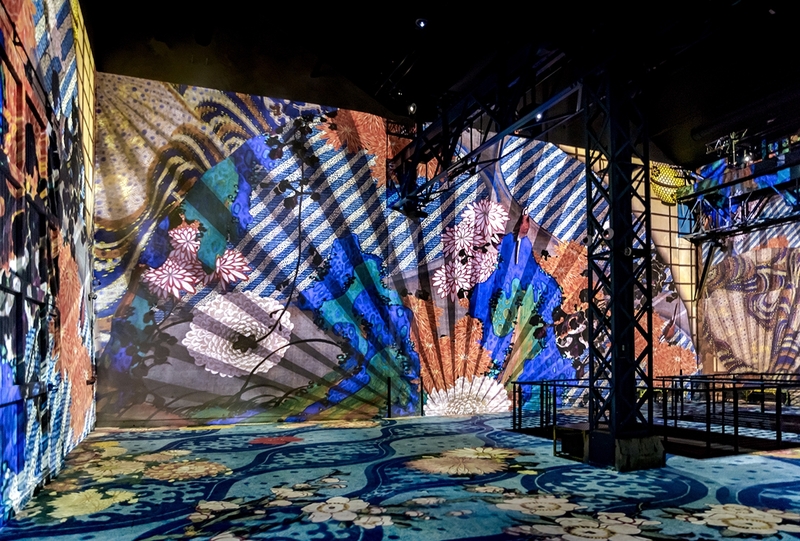 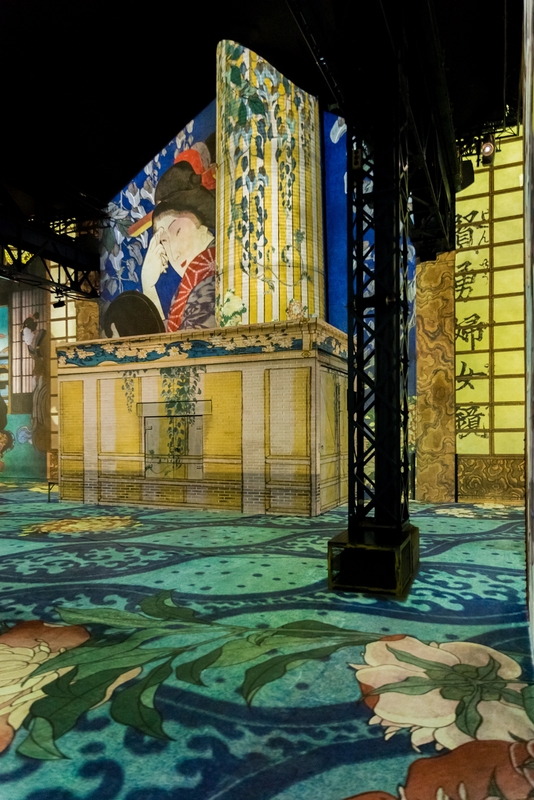 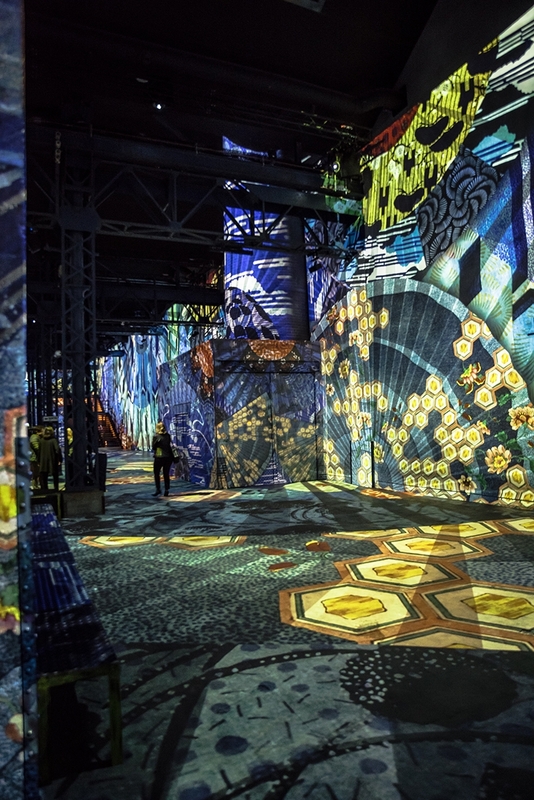 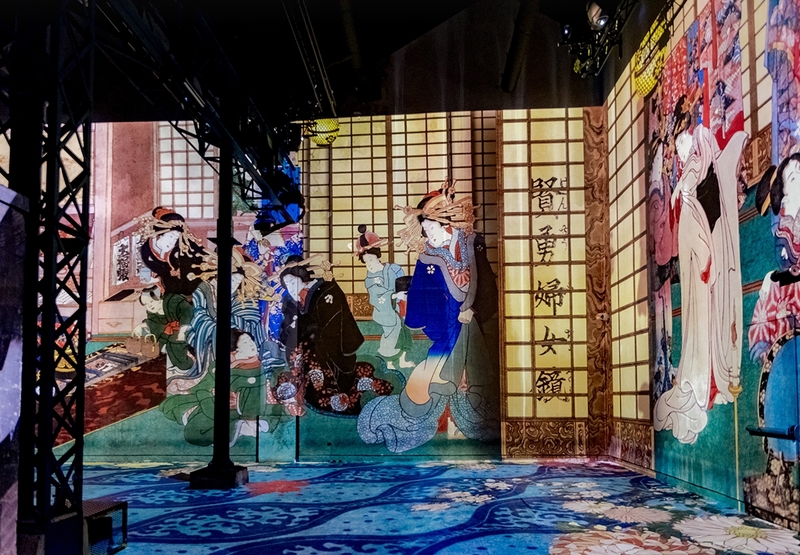 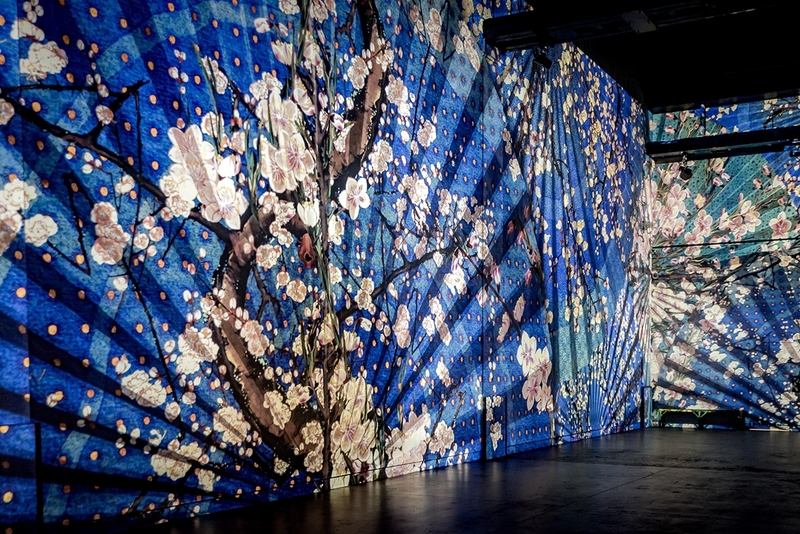 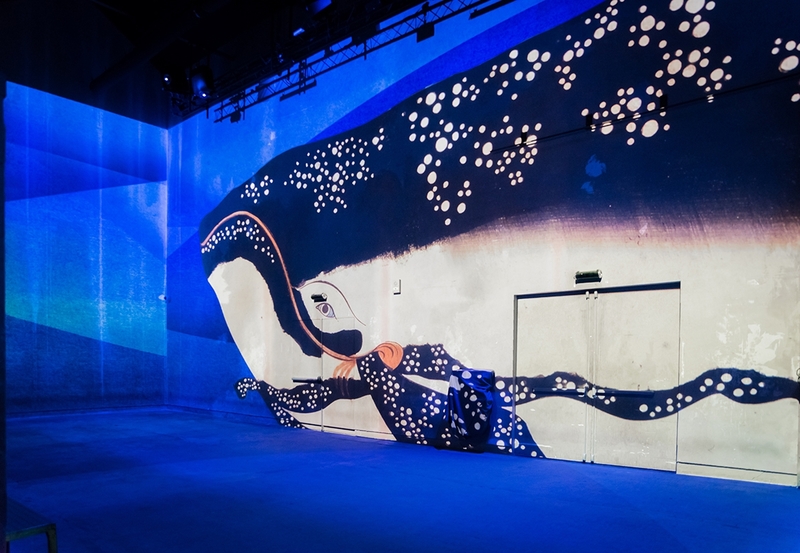 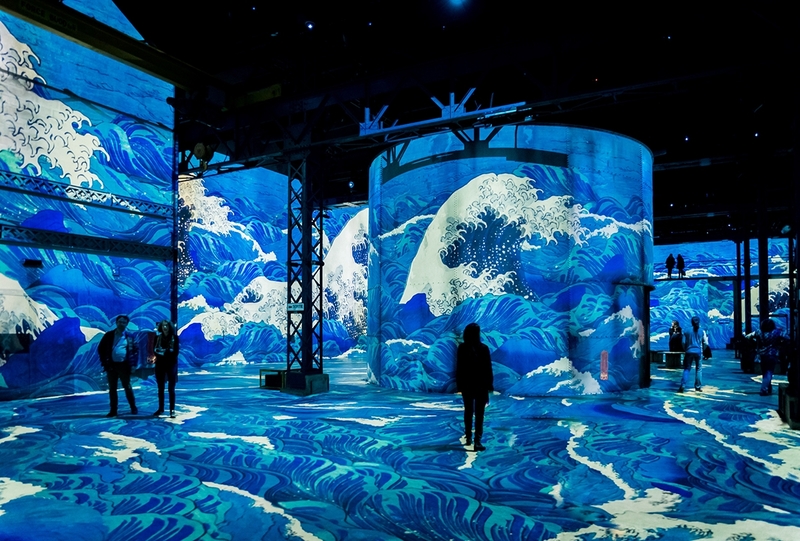 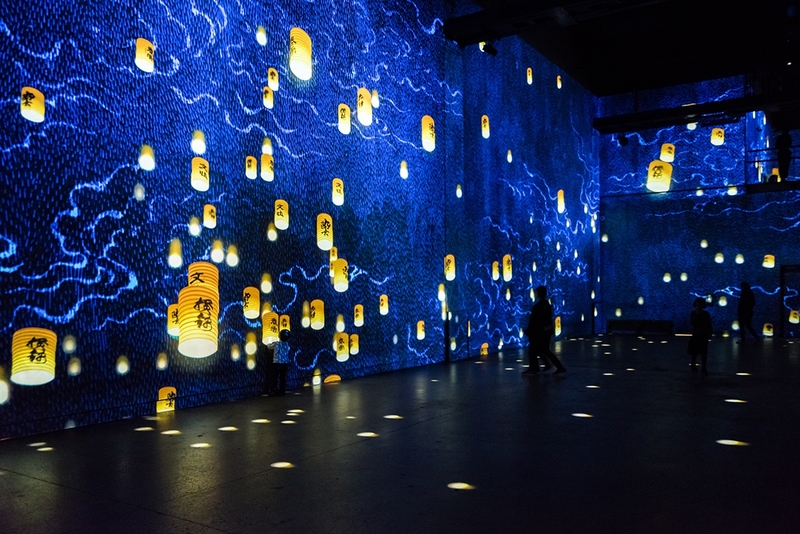 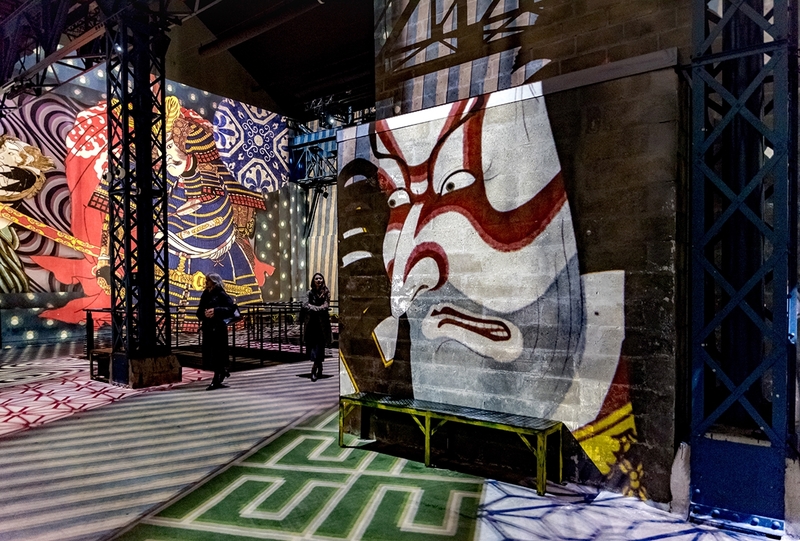 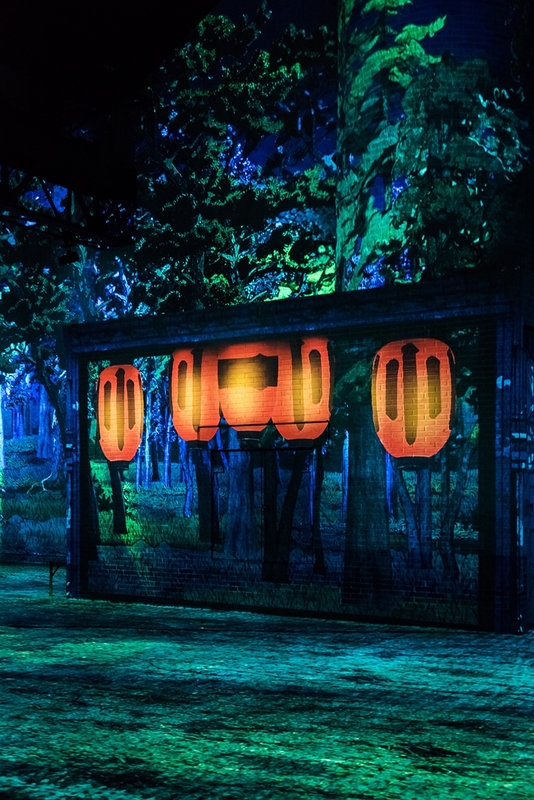 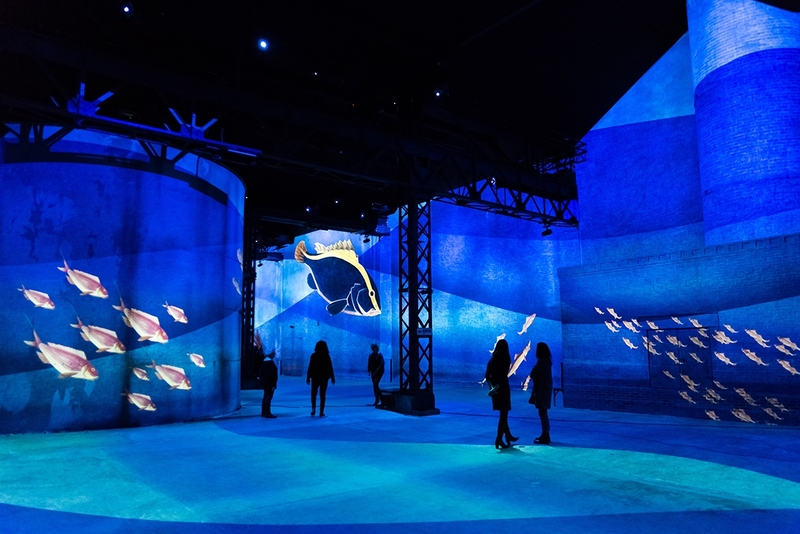 An immersive expo experience into japanese art, presented at Atelier des Lumieres in Paris and Carrieres de Lumieres in Baux de Provence until 31st december 2019. 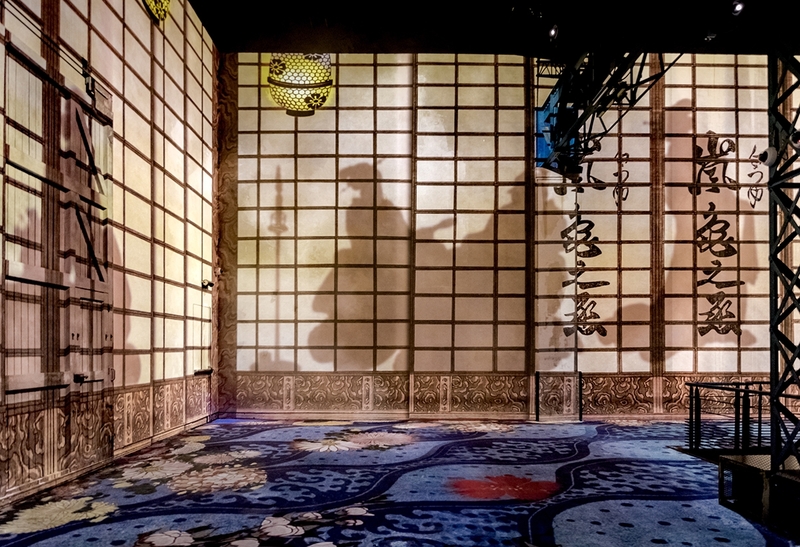 ‘Dreamed Japan, Images of the Floating World’ offers visitors a journey into the Japan of the collective imagination—the Japan of the geishas, samurai warriors, and spirits. 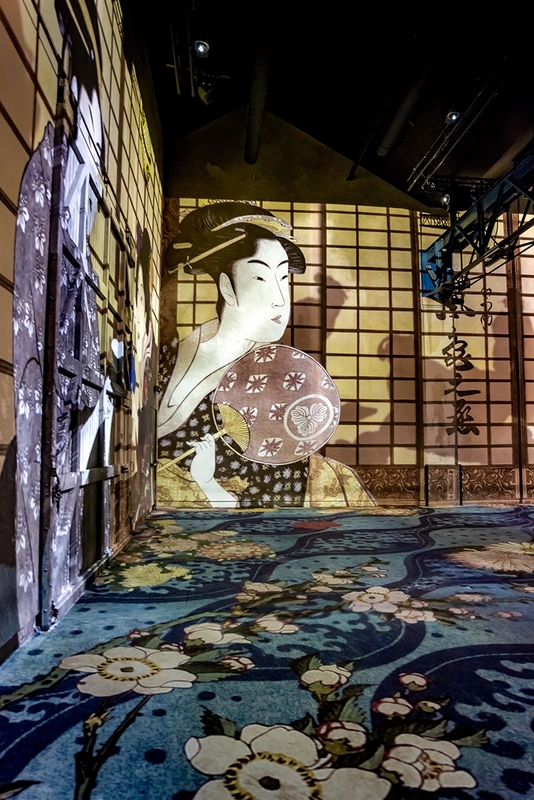 This immersive experience was inspired by the Japanese prints that began to circulate in Europe in the second half of the nineteenth century, when trade opened up between the West and Japan. 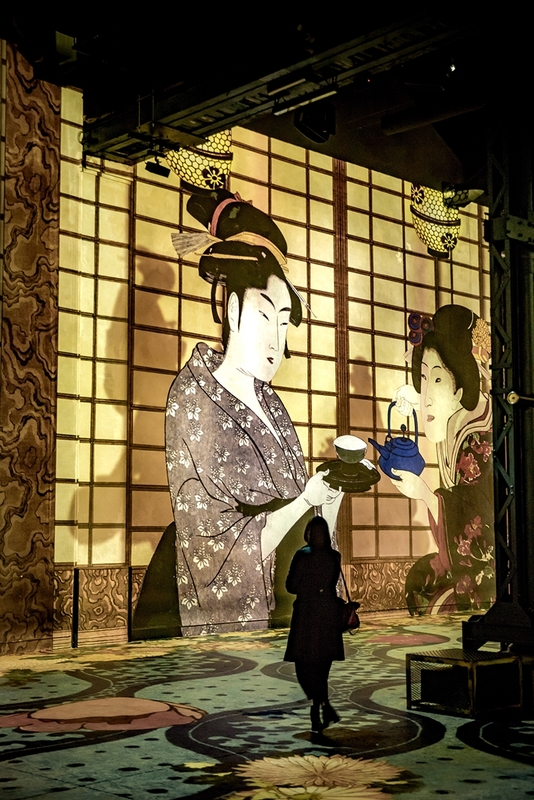 The discovery of Japanese art had a profound effect on Western art: the painting of the Impressionists and the avant-garde artists, and also the decorative arts, music, and dance. 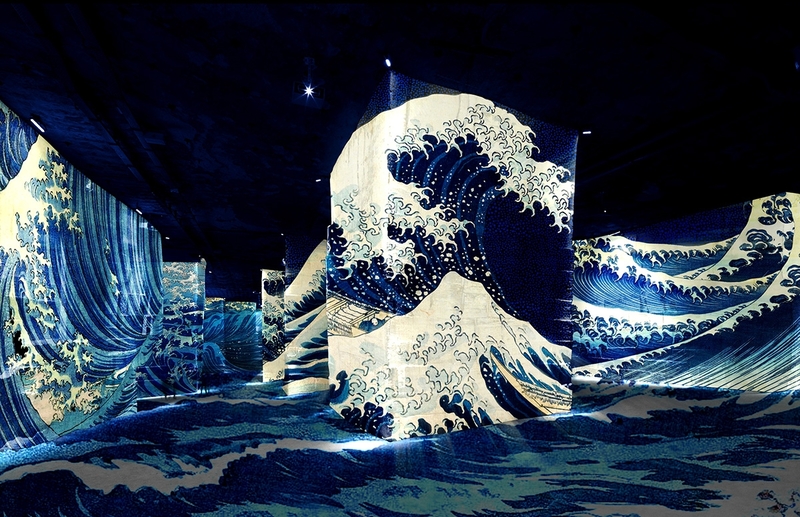 Created by Danny Rose Studio.